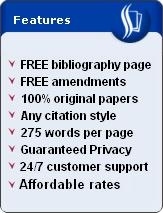 How To Summarize a Book, Journal, Research Paper, Essay. 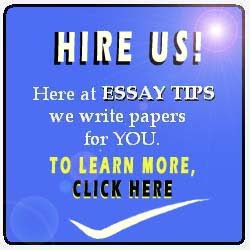 There are SIX main ways to summarize a book, journal, research paper or any essay. You may not be aware of it but these six pointers can save you a lot of much needed time and resources. WHO. You have to identify who the main authors of the books, journals or research papers are. Carefully determine the roles that had in writing the book, for instance. Also, try to find out who the editors are, if there are any. You can also try to identify the publisher of the book or journal. WHAT. This includes what the nature of the book, book chapter or essay is. It can be in the form of a research, from the anatomy of ants to the analysis of Shakespeare's works. Basically, this is the part where you pinpoint the kind of book or journal entry that you are trying to summarize. Ask yourself, "is this book chapter argumentative? Is this journal article expository? Is this essay a narrative?" and so on. WHEN. Simply put, the when part should reveal the time of the book or journal article's publication. It can also include when the paper was edited, when the actual research or experiment was conducted, or when it has received distinctions, if available. WHERE. A few simple question can help: Where is it published? Where is the research or experiment conducted? WHY. The question why should answer the purposes or objectives of the author(s) in writing the paper. Why did the author publish the article or book? Why did the author conduct the research or experiment in the first place? HOW. Last but not the least, you should identify how the author(s) carried out the research, experiment, narrative or exposition. This includes the methods used such as surveys, personal interviews, referring to other books or journals and other forms of gathering data or information. There is no strict guideline in arranging these six main points to consider when summarizing, although conventional wisdom and common practice would tell you that you should begin with the author's name and the title of his or her written work. For your convenience and for a different approach, you can also try to arrange the six sections in no particular order, although it can help a lot if you try to conceive first the arrangement of your choice. One final tip: for books, you can refer to their Table of Contents to have a quick and revealing look about the books' main points. Every chapter title is already a give-away to what that part of the book is all about. And when you put together all of the chapter titles of a book, you can already get a rough picture about the whole thesis of it, if not the summary of the book itself!